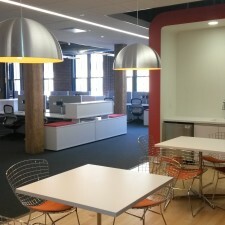 LogMeIn/Synergy Investments - Hereva Consultants Inc.
LogMeIn’s recent success in product development in the innovative high tech marketplace created extreme growth for the organization. 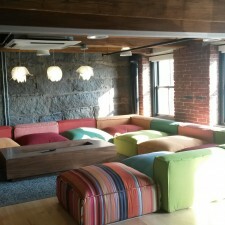 All indications were that their successful new headquarters at 320 Summer Street in Boston were to be outgrown by the end of 2015. 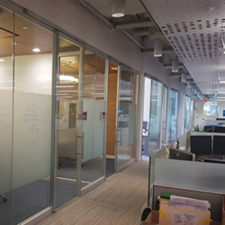 A building across the street, at 333 Summer Street, was available for lease in its entirety and was the perfect solution to their growth needs. 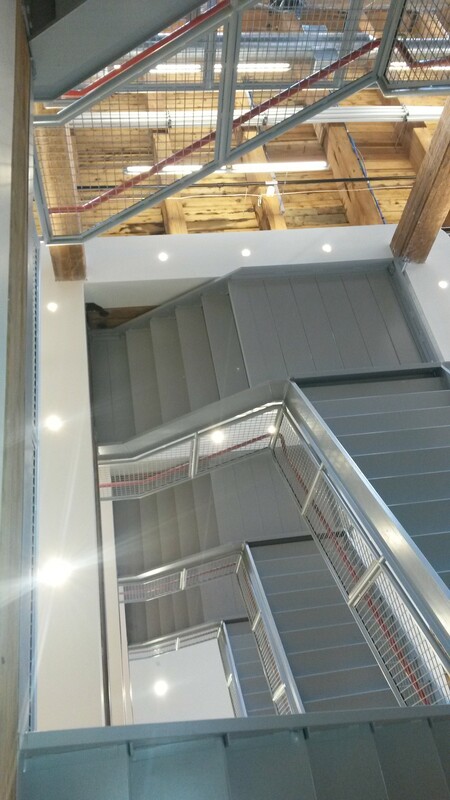 The 8-­story masonry building is original to the Fort Point area of Summer Street and had recently suffered a catastrophic and notorious fire. 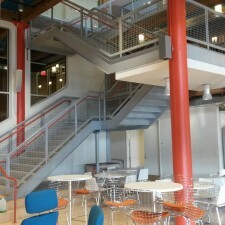 Plans to rehabilitate the structure were underway with the current building owner, Synergy Investments. 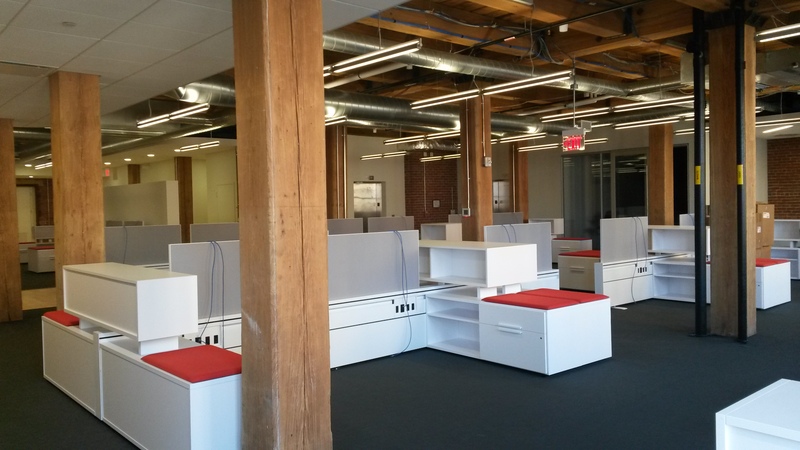 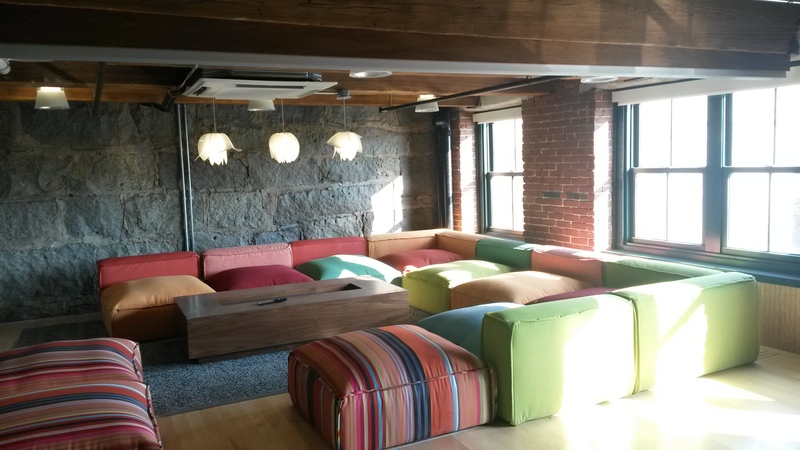 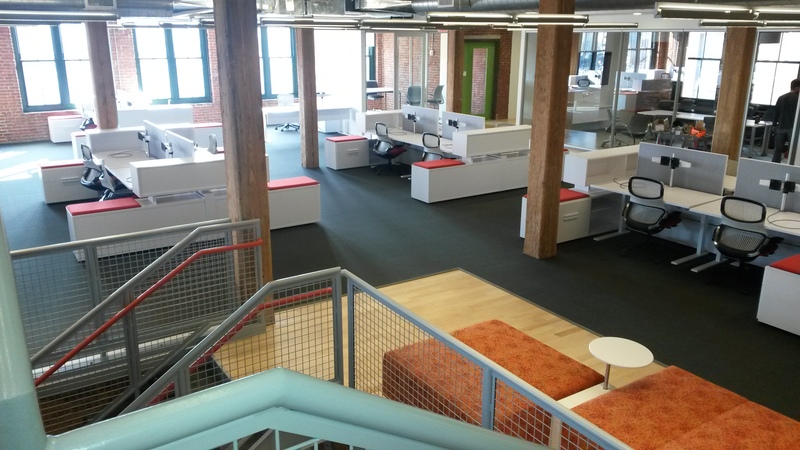 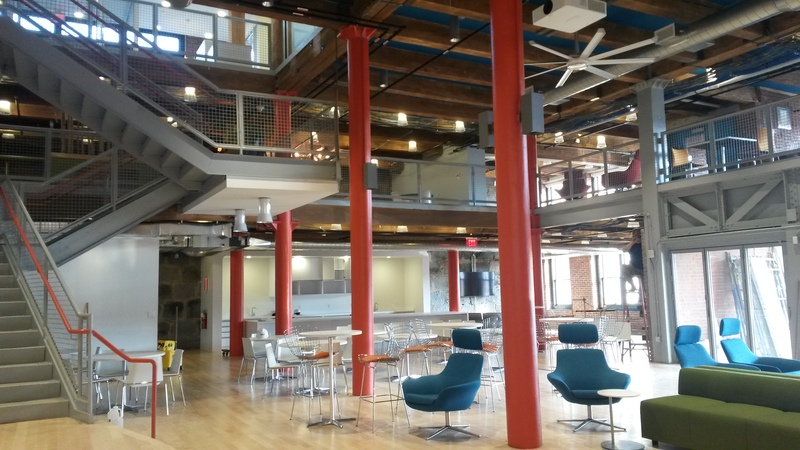 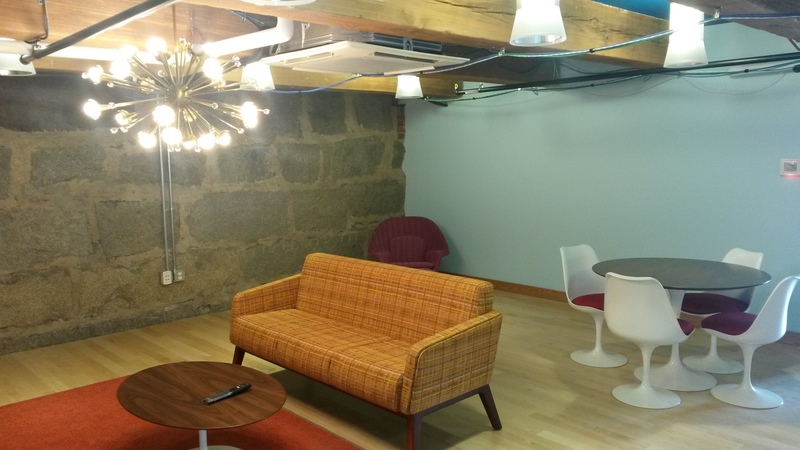 The base building team for the landlord was repurposing the former manufacturing warehouse to become prime office space in the Innovation District when LogMeIn signed their lease. 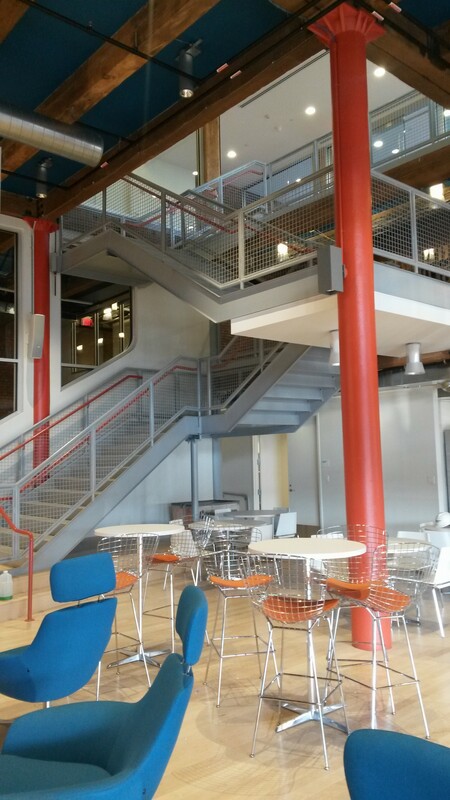 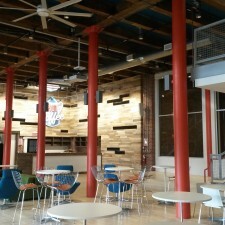 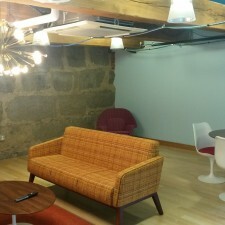 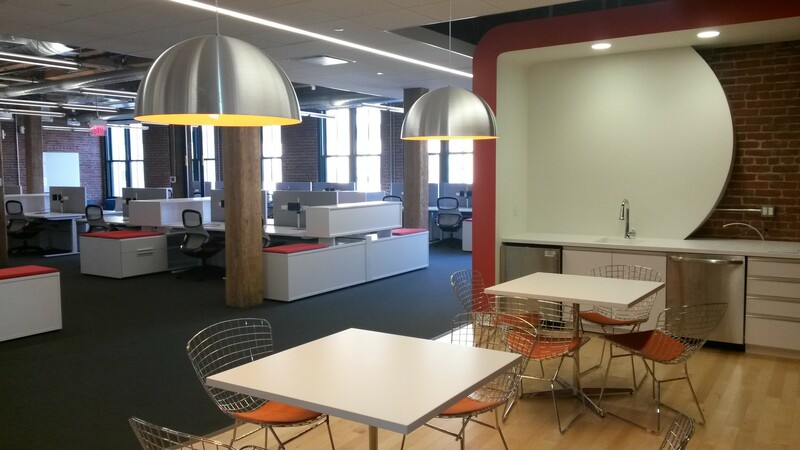 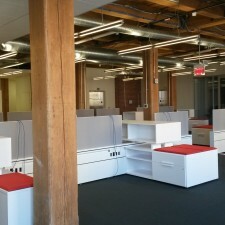 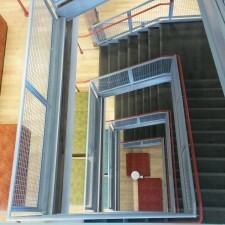 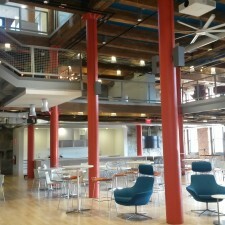 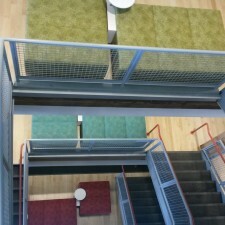 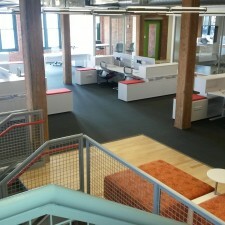 The new plans for the tenant space included a new entry and ADA compliant reception area for LogMeIn, a new top-­to-bottom glass communicating staircase, an innovative open plan with both collaborative and private areas for staff and a new executive board room with a 30′ table made from beams taken from the site. 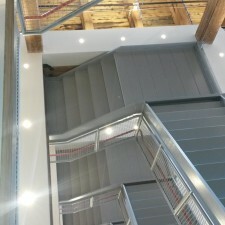 The main features of the space, however, are the interconnecting 3-­story lower levels. 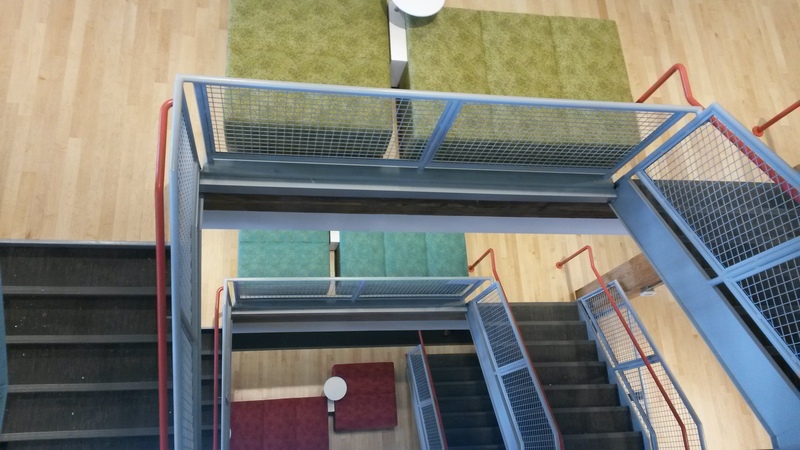 These interwoven spaces of casual meeting areas, employee break out space, collaborative work areas and­ even a basketball court, ­ feature a living plant wall and neon signage to create a truly inspirational common area for employees. 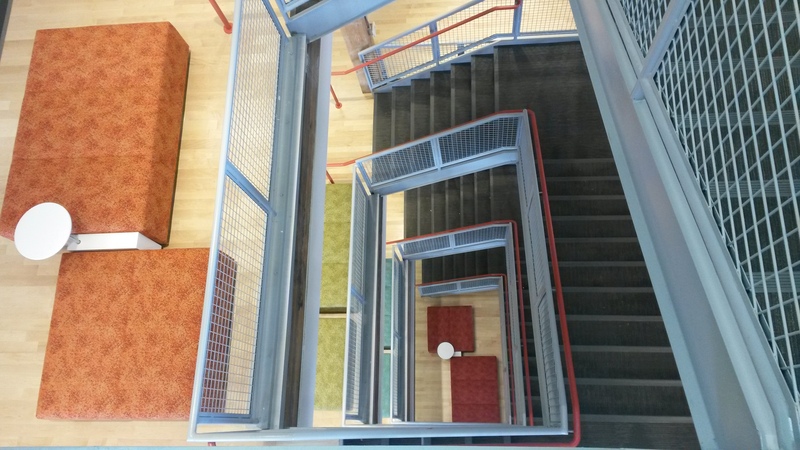 Hereva represented Synergy Investments as owner’s project manager throughout the year long construction project, helping to coordinate the multitude of complex design and construction details for this innovative space. 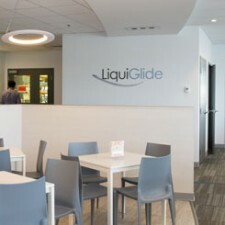 LogMeIn, Inc., founded in 2003 and based in Boston, Massachusetts, is a provider of software as a service and cloud­-based remote connectivity services for collaboration, IT management and customer engagement. 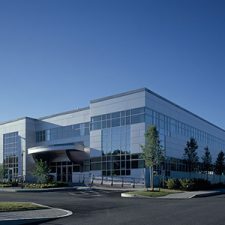 Synergy Investments is a full service real estate investment and operating company primarily focused on the Boston market. 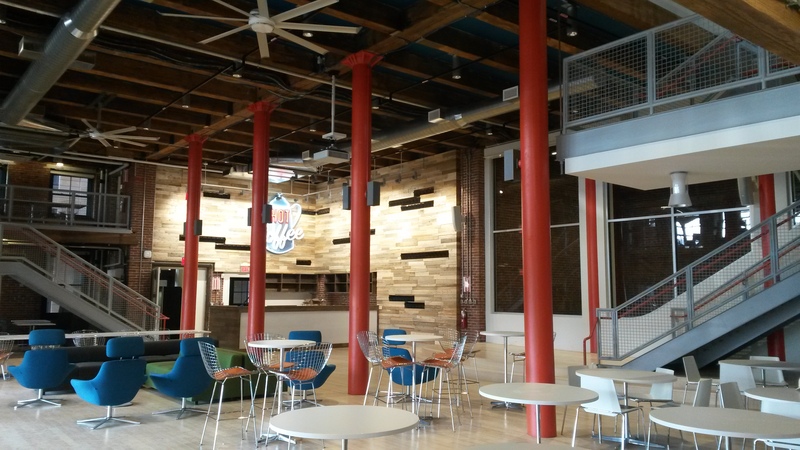 We are one of the largest and most active landlords in the city and our growing portfolio includes 3.5 million square feet, providing space to more than 400 businesses and organizations.